Amazon to add individually priced TV channels to its Video platform | What Hi-Fi? Channels include ITV and Discovery - but BBC, Channel 4 and Channel 5 are still absent. 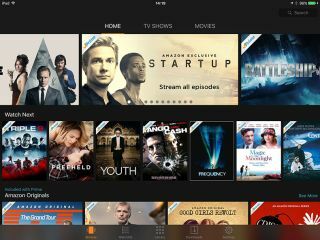 Amazon's Video service just got an upgrade, with 40 new TV channels intended to join the subscription service (including ITV and live sport), according to The Guardian. However, as the old saying goes, there's no such thing as a free lunch. Subscribers will have to pay a little more for each channel, on top of the £80 per year or £8 per month package. Each channel will cost between £1.50 and £9.50 per month. ITV has its live TV and ad-free catch-up service for £4, for instance, while Discovery will cost £5 per month. There will also be films from the BFI and movie studio MGM, the company behind films likeThe Hobbit. However, content from the BBC, Channel 4 and Channel 5 is still absent from the platform. Whether subscribers will be willing to pay extra remains to be seen, but it does (theoretically) make Amazon a more powerful contender against Netflix and Sky.